The Accused were one of the early bands that played what some refer to today as "grindcore" or "splattercore". Blaine on vocals came from the breakup of the Fartz. They were signed to Combat and released three groundbreaking albums on that label, including the two "Martha Splatterhead" LPs. 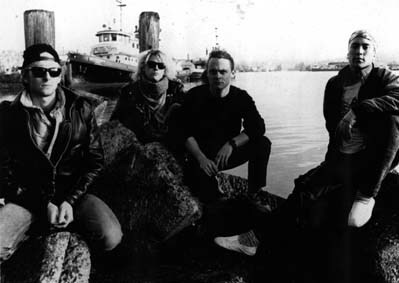 After their two MT releases they continued with another LP or two, but split up in the early 1990s. Tommy went on to play guitar in the Seattle band Gruntruck (who also released on LP on MT). Having just left Combat, the Accused were between deals when they delivered us this set of four new studio cuts on the A side, and four live tracks on the B side. The A side was produced by Jack Endino, and includes their grindcore version of Heart´s "Barracuda" as well as "Brutality And Corruption" from their eMpTy single. Highlights of the live side include "Highway Star" and "Symptoms Of The Universe". Similar to the Fartz LP, this one was pressed both in Germany and in the USA, with 6000 pressed in total. 1000 of the German versions were pressed on orange vinyl, 1000 on blue and another 1000 on clear. 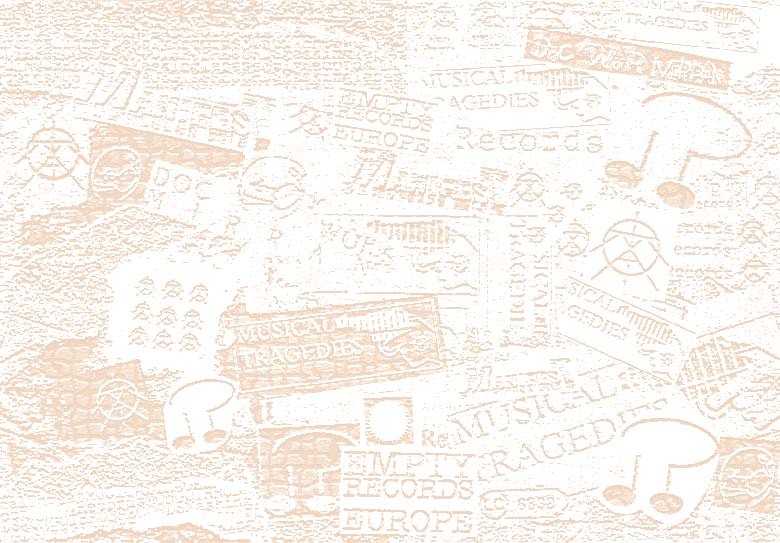 The covers are the same, but the US version has a different label design, and also like the Fartz LP, mistakenly states "eMpTy Records" instead of "Musical Tragedies". Our first release pressed through our then-new US office in Seattle, this is a split release between The Accused, who offer us the blazing new grindcore track "Brutality and Corruption, and their buddies Morphius, who give us two tracks of their mixture of speed metal and punk. This record exists with two totally different cover and label designs. The first version has a black and white cover, some copies of which were painted and had glitter added as a limited edition. The Second version itself also has two different label designs, and some of the covers were printed on blue and tan paper. A total of 4700 pressed, the very last pressing included 100 on clear vinyl and 100 on red vinyl.